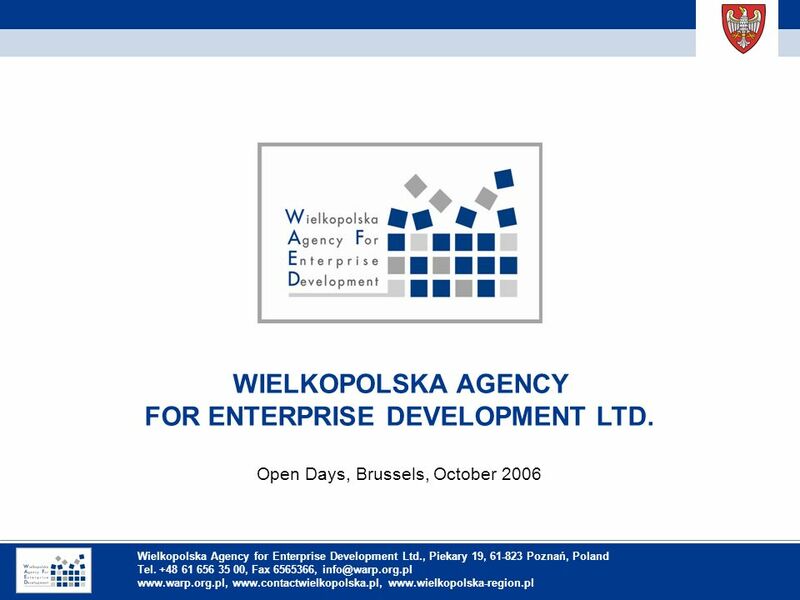 Inhaltsverzeichnis WIELKOPOLSKA AGENCY FOR ENTERPRISE DEVELOPMENT LTD. Open Days, Brussels, October 2006 Wielkopolska Agency for Enterprise Development. 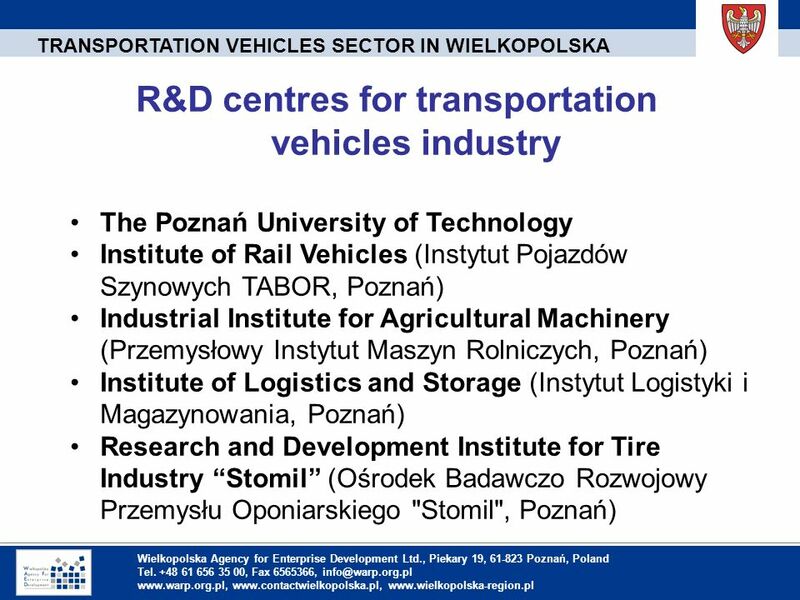 8 1. 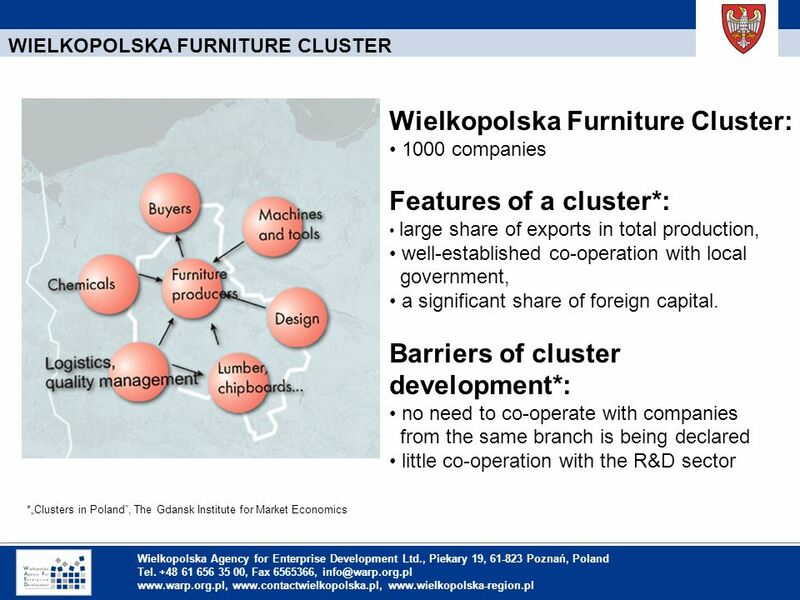 Einleitung Wielkopolska Agency for Enterprise Development Ltd., Piekary 19, 61-823 Poznań, Poland Tel. 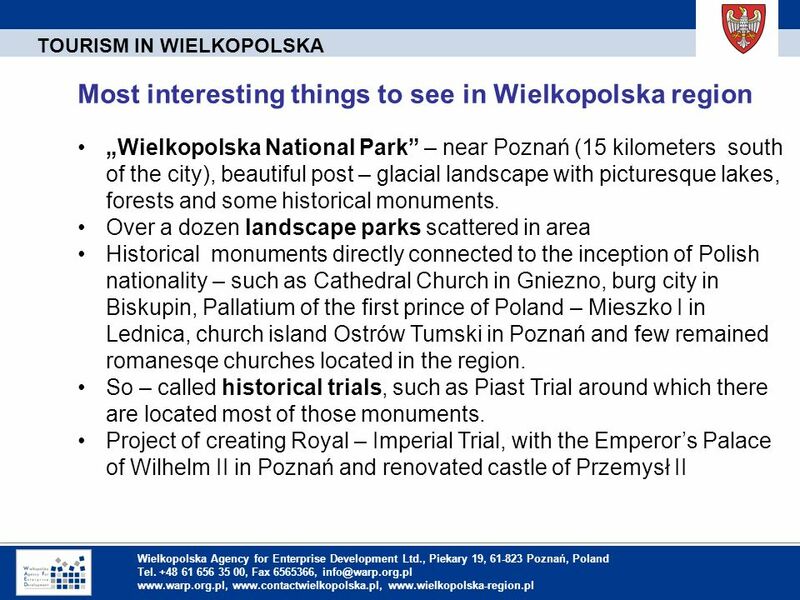 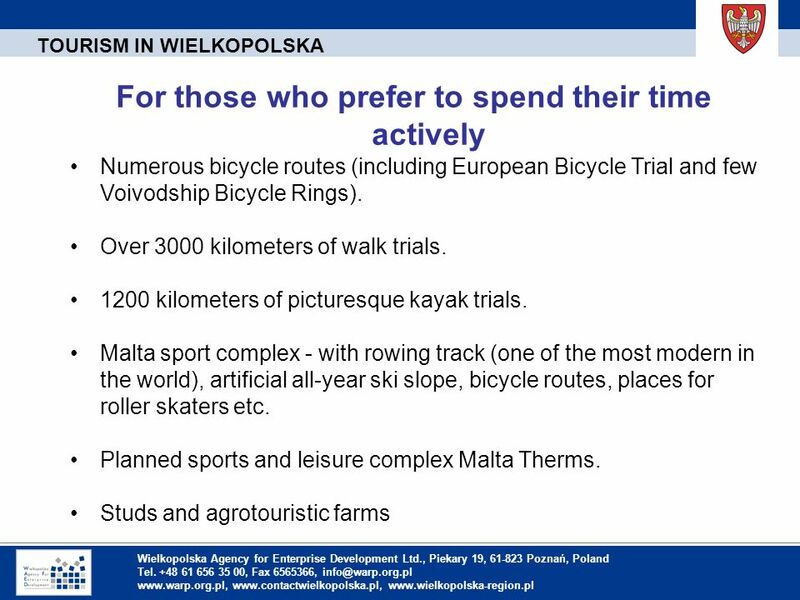 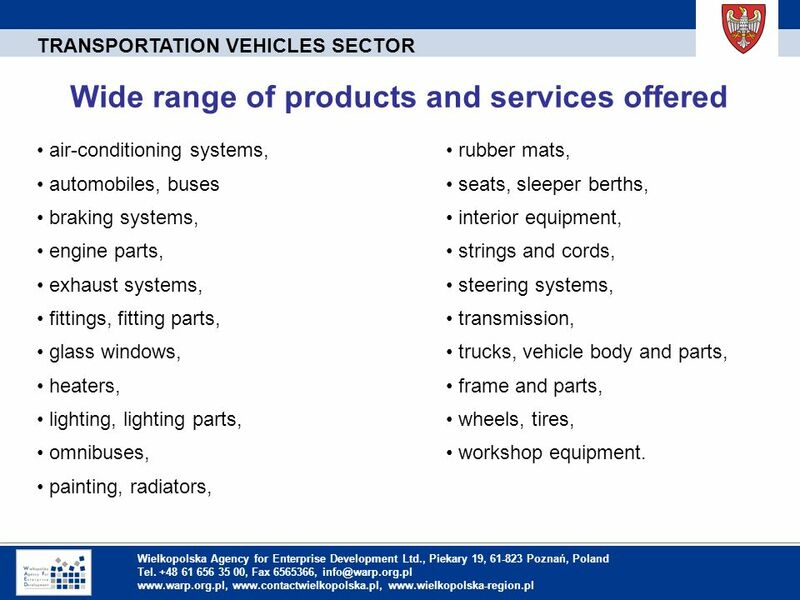 +48 61 656 35 00, Fax 6565366, info@warp.org.pl www.warp.org.pl, www.contactwielkopolska.pl, www.wielkopolska-region.pl Wide range of products and services offered TRANSPORTATION VEHICLES SECTOR air-conditioning systems, automobiles, buses braking systems, engine parts, exhaust systems, fittings, fitting parts, glass windows, heaters, lighting, lighting parts, omnibuses, painting, radiators, rubber mats, seats, sleeper berths, interior equipment, strings and cords, steering systems, transmission, trucks, vehicle body and parts, frame and parts, wheels, tires, workshop equipment. 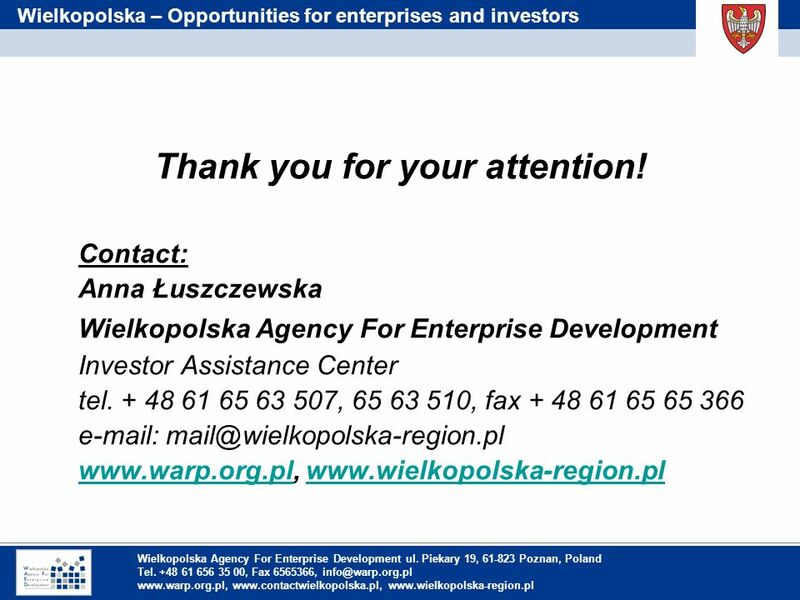 Pobierz ppt "Inhaltsverzeichnis WIELKOPOLSKA AGENCY FOR ENTERPRISE DEVELOPMENT LTD. Open Days, Brussels, October 2006 Wielkopolska Agency for Enterprise Development." 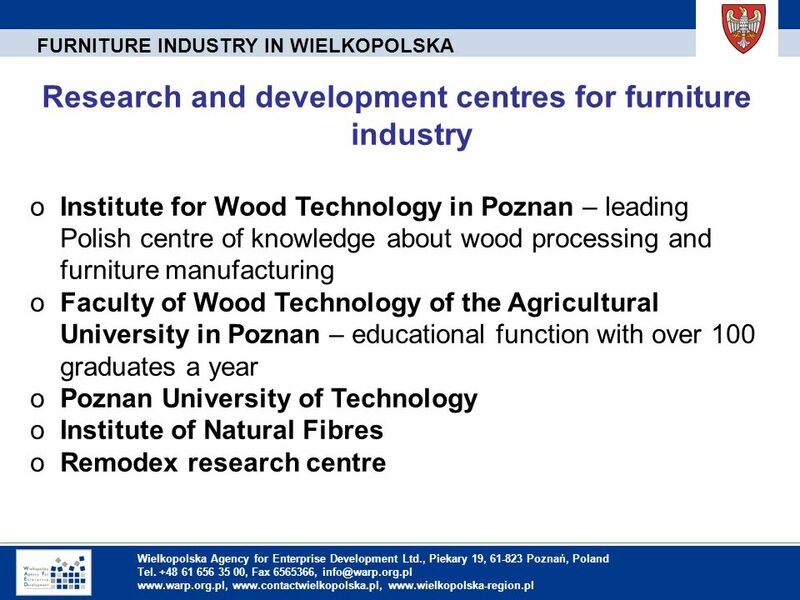 Cracow University of Technology Faculty of Mechanical Engineering Internships programmes at CERN Seminar 18.12.2013 Piotr Dziurdzia.